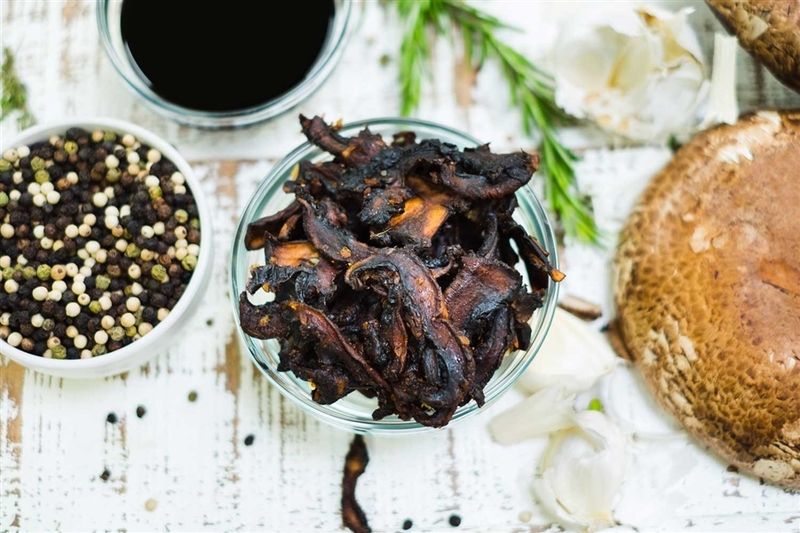 Delicious plant-based jerky, made of portabella mushrooms marinated with rich and aromatic flavors. Real roasted garlic and pure ground black pepper combined that with the ultra-umami taste of Portabella mushrooms. Brimming with mouthwatering flavor! Made of Giorgio, American grown, portabella mushrooms, hand-picked, marinated, then gently dried. 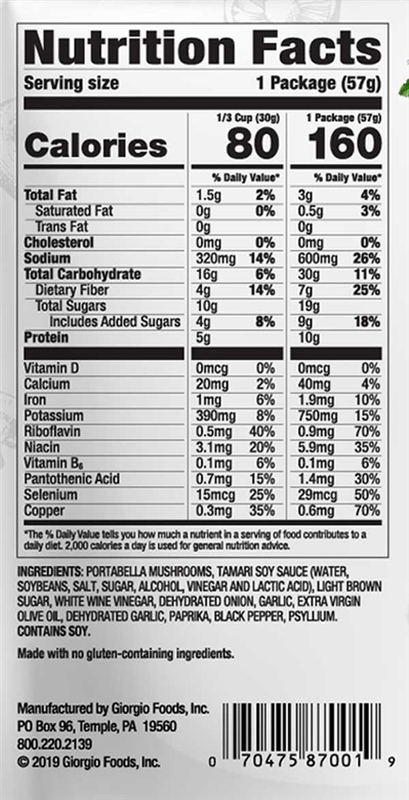 Savory Wild portabella jerky is vegan, gluten free, non-GMO, contains no saturated fat, and is a good source of selenium. Each 2 oz bag contains about 2 servings of portabella mushroom jerky. Made in the USA. Very tasty jerky. I love mushrooms and this is just fantastic. I myself was not a fan of this jerky. I like that it is not soy based, but the overall texture is just too much for me. It was almost papery. But... I failed at checking all of the ingredients and was not pleasantly surprised at how sweet this jerky is. The the texture is spot on though. Hopefully a savory jerky is on way!